Fun and friendly is the atmosphere in the Bier Hall, with live music nightly! Many dishes are prepared with ingredients specially made for the Hofbräuhaus or imported from abroad. The heritage of Hofbräuhaus is the beer. Over 500 years ago the first Hofbräuhaus beer was crafted. Hofbräuhaus craft beer has a Brew Master from Germany supervising the production of four varieties plus Seasonal Specialties of the authentic Hofbräuhaus beer. Scheduled Brewery Tours available with our Brew Master. Host your next event with us! Our custom spaces offer rooms for 25-140 people with AV capabilities. Seasonally, our outdoor Bier Garden is the perfect place to enjoy a great atmosphere! Special Events each month! The 1st Tuesday of every month come out and enjoy our keg tapping celebration where we tap the monthly seasonal bier. Keg tapping starts at 7:00 pm so come early to grab a good spot for the festivities! The 2nd Tuesday of every month is Family Night featuring kid’s activities such as face painting, stilt walkers, and live entertainment. Kids eat free with purchase of an adult entrée from 5:oo – 8:30 pm. 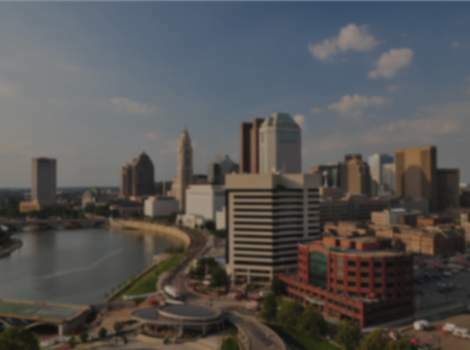 We are conveniently located in Grandview Yard just minutes from downtown Columbus and the Ohio State University campus. Description This facility is a brewery/restaurant. One large room accommodates 300 guests, additional room on second floor accommodates up to 140 guests, outside Bier Garten can accommodate 350+ guests, weather permitting. Space Notes We have 9 TV's available for presentations, all equipped with AppleTV. Audio equipment available.